The relationship between humans and their environment is a heavily debated, multi-disciplinary discussion that has raised awareness about urgent issues, such as climate change. Earth’s booming population encourages globalization, greed, and over-consumption and has changed the basic composition of the planet, causing humans to continually possess a distorted view of their relationship to nature. This idea can be applied to the Classic Maya, as their success as a thriving civilization rested on their access to the resources around them. Around 900 CE, many of the heavily populated Maya cities were abandoned suddenly and the reason for this collapse is still heavily disputed to this day. The theory that has gained the most momentum in this debate is the drought theory. The Maya suffered a series of droughts during the Classic Maya era and the most significant was a megadrought that lasted from 800CE to 1000 CE. This particular drought had a catastrophic impact on the political stability, economic success, and societal prosperity of many of the great Maya cities. Through lake core sediment analysis, Curtis, Hodell, and Brenner observed that drought periods coincided with periods of Maya recession; a drought period at 862 ± 50 cal, yr. corresponded with the Classic Maya collapse and a drought period at 585 CE occurred during the Maya Hiatus. Both of these drought periods were times of monument decline, city abandonment, and social cataclysm (Curtis, 1996, p. 45). The megadrought that the Maya were faced with produced complete social upheaval, resulting in their eventual fall. As with any diminishing civilization, all aspects of society were under threat; the political nature of many Maya cities was ominous, economic stability disintegrated, health, happiness, and personal faith were dejected, and social contentment vanished completely. The megadrought and its fatal impact had been the driving force behind the Classic Maya collapse. Map of ancient Maya cultural area. The collapse of the Classic Maya is considered to be one of the most significant mysteries of human civilization. In the southern Maya lowlands during the eighth and ninth centuries, Mayan culture developed, populations boomed, and cities grew into superior and dynamic states (Hammond, 2000, p. 101). Around 900 CE, many heavily populated cities were abandoned and the people that once inhabited them vanished (McKillop, 2004, p. 307). A region that held millions of people was uprooted within a couple hundred years (Richardson, 2000, p. 319). 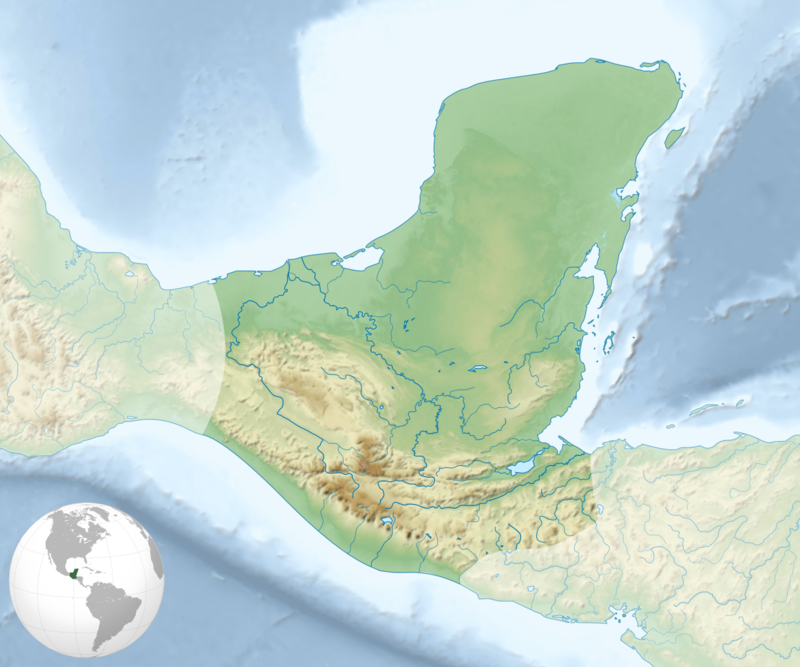 It is important to note that while the northern Maya populations still thrived for years after the Classic Maya collapse, and there are still Mayan people living today, the fall of the Classic Maya in the southern Maya lowlands was extraordinarily unique due to its sudden nature. There have been many theories surrounding the collapse of the Classic Maya: warfare, political and social issues, disease, ecological failure, and drought. While this topic is still frequently debated through a variety of disciplines, it is important to remember that the collapse of any civilization is complex and it is unlikely that a single factor caused an entire civilization to fall. Although there is no simple explanation for the collapse of the Classic Maya, the rapidity of the civilization’s fall must have been initiated by an external factor that left the Maya people in a scattered and chaotic state, resulting in their eventual dissolution. Paleoclimatic research provides evidence that the Classic Maya suffered a two hundred year drought from 800 CE to 1000 CE (Curtis, 1996, p. 45). Over the years, this drought theory has gained momentum and it came to be concluded that the drought caused a series of obstacles that the Maya were incapable of coping with. It is because of the great drought that the Maya suffered an ecological disaster, political instability, and a broken social system. Ultimately, these three elements led to dire conditions that Mayans could not prevail over, resulting in their eventual collapse. Accompanying a booming population was a rising demand for resources, both for subsistence and prestige. People have always relied on natural resources for their survival and the Mayan’s cultural, architectural, and social boom were largely attributed to their access to rich forests. Deforestation became a common practice; overworking the land for agriculture, fuel, and monument erection deteriorated the land, ultimately leading to the megadrought (Webster, 2002, p. 251). While it is important to take natural climate variability into consideration, the severity and briskness of this particular drought is unique. It is evident that environmental mismanagement caused the arid conditions to intensify and put the Mayans on a path toward inevitable struggle. Lake core sediments, which contain information about past climatic conditions are frequently used to analyze Mesoamerica’s climate history and provide insight into the mystery of the Classic Maya collapse. A 335 cm sediment core dating back 1300 years was taken from Aguada Zacatal, a reservoir located near Petén. Guatemala. The sediment was divided into two zones: Zone 2 dating from 695 CE to 840 CE and Zone 1 dating from 840 CE to present (Wahl, 2007, p. 217). The pollen record concludes that while the area was only modestly populated prior to Zone 2, there was an increase in agricultural activity around 695 CE (p. 217), reflecting an increase in settled populations. Not only did pollen samples indicate that there were more people living in the region, but charcoal records revealed anthropogenic fires associated with settlement, most likely from swidden farming practices (p. 219). The report stressed that the two zone periods were very abrupt and distinct. It is clear that anthropogenic activity had an impact on the environment because after 840 CE, there were indicators of reforestation (p. 219). Considering this sediment analysis, paleoclimatic research has made significant contributions to proving that anthropogenic activity had an effect on the ecological system of the Maya southern lowlands during the Classic Period. At this time, populations expanded and the relationship between nature and the Maya was challenged. Land was cleared for agriculture, trees were chopped down for lumber and fuel, and the ecology of the landscape began to change; the southern lowlands were no longer fit to support a rising Maya population (Webster, 2002, p. 225). Abrams and Rue (1998) argue that although deforestation is evident, the causes of deforestation are not consistent throughout the region (p. 392). It appears that the Copan Valley can be divided into the upland forest zone, where “there was a need for cleared land either for habitation and/or cultivation” and the foothills, where the pine was relied upon for fuels for cooking and heating (Abrams & Rue, 1988, p. 388). These distinctions are important to make because they indicate that the fall of the Classic Maya varied and did not necessarily occur in the same ways and at the same time. Although this information should be considered, the rising demands of a booming Maya society surely resulted in disastrous consequences for the southern lowlands and those who inhabited them. Following deforestation, soil erosion worsened the already dire conditions that the Mayans faced. The ecological environment of the southern Maya lowlands was unique in that the nutrients that were available for plant growth were stored in the living biomass and were extremely sensitive to change. If the natural cycle of storing and recycling nutrients was disturbed, especially by anthropogenic factors, “a series of deleterious effects [was] unleashed that in the long run [could] be very destructive … result[ing] in ever-decreasing yields” (Webster, 2002, p. 253). Curtis, Brenner, Hodell, Balser, Islebe, and Hooghiemstra observed several paleoclimatic records from the Petén region of Guatemala and concluded that although there was regional variation, erosion of the soil was evident (p. 156). The presence of a large amount of Maya clay, a colluvial deposit found on lake bottoms, was believed to have been the result of swidden farming on steep slopes. This activity caused an accelerated loss of soil and nutrients (Curtis et al., 1998, pp. 140, 154). Although it is vital to recognize that the soil erosion data shows variability in time of occurrence and region, the Classic Period marked a time of increased agricultural activity where the Mayans had to adopt new techniques to adapt to the complexity of the soil. Most Mayan farmers practiced slash and burn farming and as the population grew, the demand for goods increased. Due to the pressure to produce more goods the crucial fallow cycle was ignored, which further deteriorated the soil (Lucero, 1998, p. 224). The loss of moisture from cleared forests and disintegration of the soil lead to inadequate living conditions and, while also considering natural climatic variation, it is evident that these conditions played a large role in the southern lowland megadrought. The drought was perhaps the most crucial turning point for the Classic Maya because it initiated a chaotic spiral of adversities. Being an uncontrollable external factor, the megadrought set the stage for political, social, and economic instability. The existence of the megadrought has been proven through numerous paleoclimatic findings and is most evident in lake core sediments and cave stalagmites. A 92 cm long stalagmite was taken from a cave named Macal Chasm in western Belize and “was chosen because its location near the cave entrance rendered it susceptible to environmental conditions outside the cave” (Webster, 2007, p. 3). The findings concluded that the Late Preclassic Period (550-100 CE) experienced wetter conditions that allowed the Maya to expand and settle in the region (Webster, 2007, pp. 12-14). After 100 BCE, conditions became more arid and there was a series of droughts, four of which coincide with a decline in Maya populations: 141 CE, 517 CE, 780 CE, and 910 CE (pp. 12-14). Though not all of these droughts occurred during the Classic Period, they represent the correlation between the Maya and their response to arid conditions. As Curtis et al. (1996) also observed in their lake core sediment, there was a significant drought period at 585 and 862 ± 50 cal. yr. (p. 45). This was during Period II of their findings, which lasted from 280 CE to 1080 CE. While the first drought period was not part of the Classic Period, it coincided with the Maya Hiatus, which lasted from 525/536 to 590/681 (Curtis, 1996, p. 45). This period showed a recession in monument erection, abandonment in some areas, and social upheaval. Although this was not the same period as the Classic Maya collapse, the similarity between the two dry periods of 585 and 862 coincided with Maya decline. While other possible factors must be considered, the drought undoubtedly caused economic, political, social, and religious complications for the Maya, leading to their ultimate exhaustion. Environmental degradation and ecological disaster played a significant role in the fall of the Classic Maya throughout their history of settlement, agricultural practices, and development. As detrimental as the ecological conditions were, there were societal problems that occurred in response to these conditions. The deforestation of the southern Maya lowlands, the erosion of soil, and the series of megadroughts that the Mayans suffered undoubtedly led to their decline, but their misguided response resulted in their collapse. Due to the pre-existing climatic conditions of the southern Maya lowlands, the strength of society began to diminish and the once thriving civilization collapsed. The series of ecological disasters that the Mayans experienced set the grounds for a breakdown of the most basic aspects of society. The Maya struggled with the changing environmental conditions and began to question the stability and validity of their empire. As time progressed and conditions worsened, they lost trust in their ruler and questioned their faith, ultimately exhausting their livelihood (McKillop, 2004, p. 186). Archaeological evidence from the seventh century indicated a period of substantial political growth and development (Golden & Scherer, 2013, p. 408). As migration increased and populations grew, borders were created and great states declared (Golden & Scherer, 2013, p. 408). Historically, sufficient agricultural land encouraged settlement and with settlement came societal development. As the Maya cities boomed, impressive architectural monuments were erected, a hierarchical system was established, and competition between states began. As states grew, there were many city rivalries, including the one between Tikal and Calakmul (McKillop, 2004, p. 186). When a competing city won, the winning state’s ruler took over the defeated city, creating more stress for the inhabitants (McKillop, 2004, p. 186). This tradition led the Mayan people to question the value of their loyalty because the leader’s status was uncertain. McKillop, H. (2004). The Ancient Maya: New Perspectives. New York: W.W. Norton Company. Richardson, G. B. (2000). Great Maya Droughts: Water, Life, and Death. Albuquerque: University of New Mexico Press. Webster, D. (2002) The Fall of the Ancient Maya. New York: Thames and Hudson.